Regina Food bank, located in Regina Saskatchewan Canada needed to grow fresh produce for their clients year round. The Regina Food Bank is best known as a place that collects and distributes food, and now is also growing its own fresh produce. 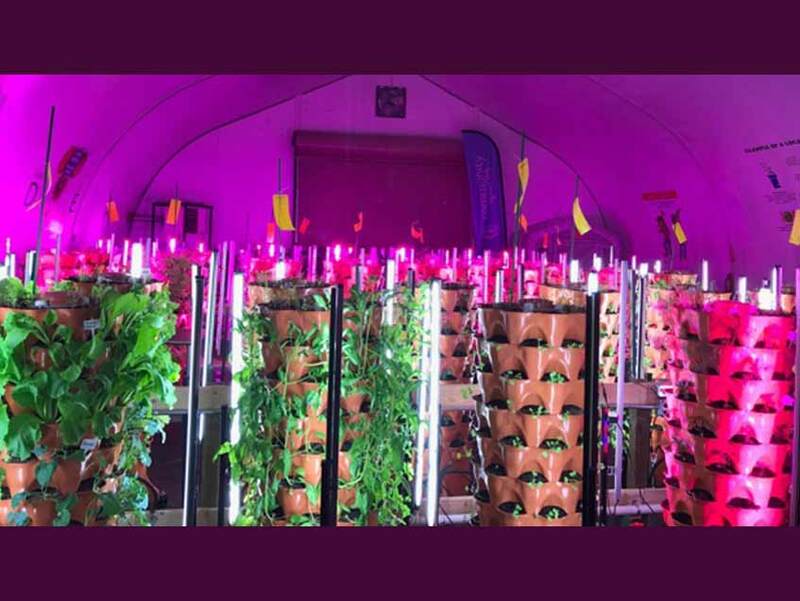 Environmentally controlled greenhouse using LED Lights and 48 garden “towers”. 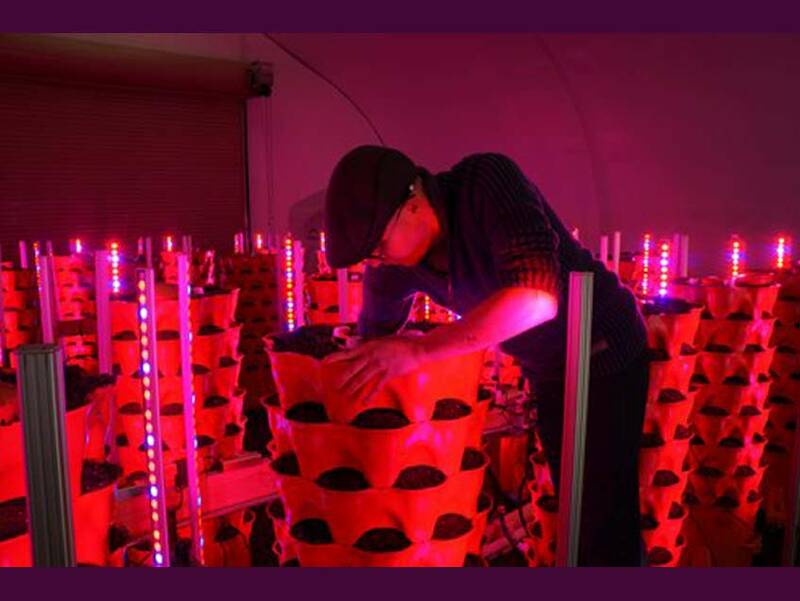 The towers are planted with broccoli, chinese cabbage, and other vegetables. The food bank grows healthy food for its clients and community partners 12 months of the year. Regina Food bank needed to grow fresh produce for their clients year round. 40′ wide by 65′ long Sprung Structure fully insulated light deprived greenhouse. 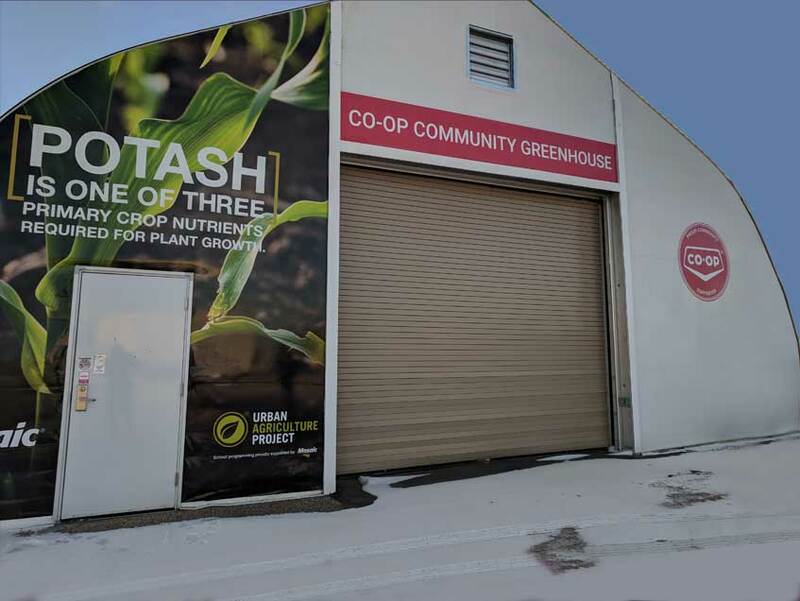 The Regina Food Bank is best known as a place that collects and distributes food, and now is also growing its own fresh produce. 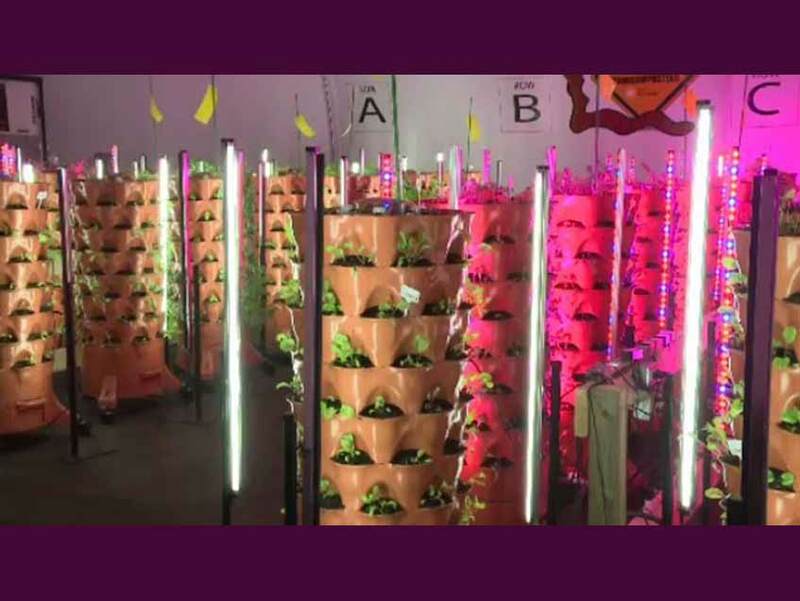 Regina Food Bank grow fresh produce in their environmentally controlled greenhouse using LED Lights and 48 garden “towers”. 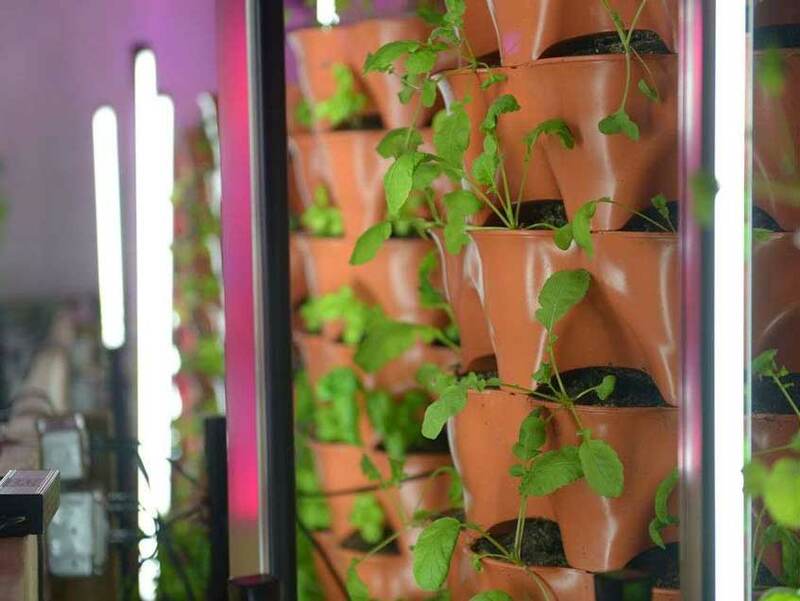 The towers are planted with broccoli, chinese cabbage, and other vegetables. The food bank grows healthy food for its clients and community partners 12 months of the year. It also wants to reach out to the community to spread the word about food production and the services provided by the food bank.